The Pool-Room offers twin beds with en-suite bath and shower, leading directly onto the pool area. The room has coffee-making facility, microwave, bar fridge and DSTV. Poolroom - Lovely Bathroom with shower and bath. The fully equipped kitchen in the family unit includes coffee-making facility, fridge, stove, micro-wave and DSTV. The two-bedroom family unit offers a double bed in each bedroom. 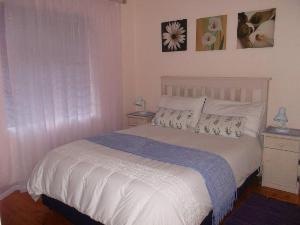 Two-bedroom Self-Catering unit offers 1 bedroom with 2 single beds and 1 room with a double bed. Each room with en-suite shower/toilet. Separate open plan kitchen / lounge area. 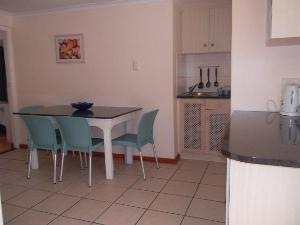 The fully equipped kitchen includes coffee-making facility, fridge, 2 plate stove, micro-wave aswell as DSTV. Second Bedroom in 2 Bedroom unit.